Dr. Baoxi Wang graduated from the Peking Union Medical College (PUMC) in 1987 and completed his residency training at the PUMC Hospital. From 1987 to 2007, he served as Attending Physician, Associate Professor and Professor Dermatology at the PUMC Hospital. He was a visiting scholar in the Department of Dermatology at the University of North Carolina at Chapel Hill from 1994 to 1996. 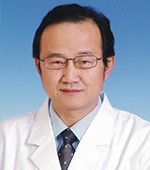 From 2000 to 2007, he served as Professor and Chairman of the Department of Dermatology at the PUMC Hospital. In 2007, he was appointed as Director of the Institute of Dermatology at the Chinese Academy of Medical Sciences, Director of the National Center for STD and Leprosy Prevention and Control at the Chinese Center for Disease Control and Prevention (China CDC). Dr. Wang has been an active clinical physician, a medical educator as well as a scientific researcher in Dermatology and Venereology. His research has received grants from organizations including the Beijing Natural Science Foundation, National Natural Science Foundation of China, Doctoral Training Grant of China’s Ministry of Education and the Mega Project of China’s Ministry of Science and Technology. He has published more than 140 papers including original articles, reviews and abstracts both in Chinese and English journals including JID, BJD and Science. In 1999, he was recognized by China’s Ministry of Education for his scientific achievements. Dr. Wang is Editor of the National Journal of Medicine of China, Associate Editor-in-Chief of Chinese Journal of Dermatology and Clinical Journal of Dermatology, and Associate Editor of the Journal of Investigative of Dermatology. He is also the President of the China Dermatologist Association (CDA) and Council Member of the Asian Dermatologist Association (ADA). In 2004, he received the Outstanding Young Specialist Award from China’s Ministry of Health.